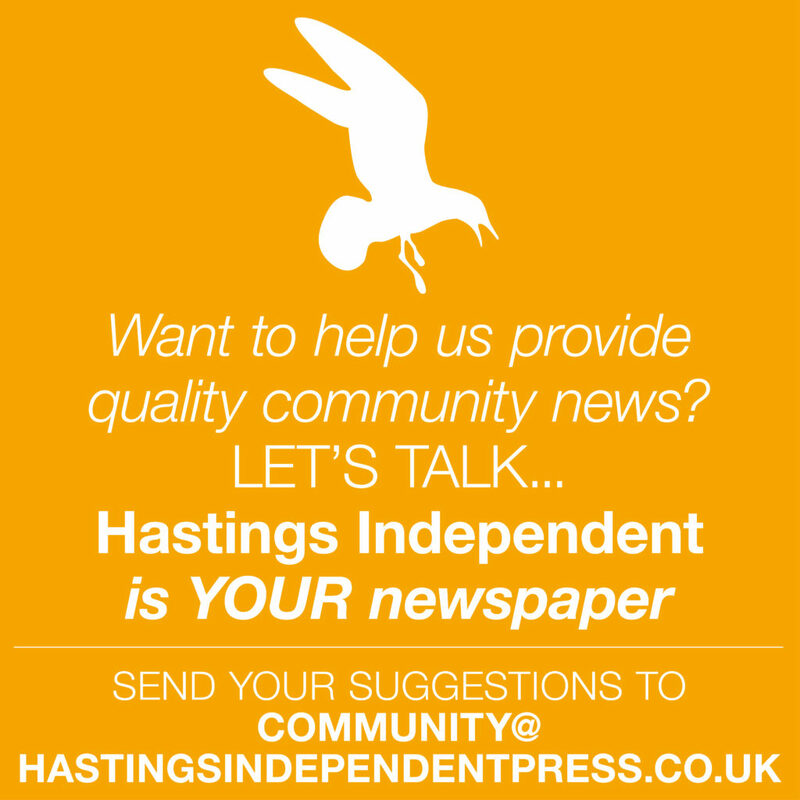 Mention Hastings to most people in the UK and they will think of the battle of 1066. But mention it abroad, and people are just as likely to recognise Hastings for its huge impact on the world of English language learning and teaching.So our front page news that the recent closure of the Embassy school at Gensing Manor, St Leonards, may not only be the end of an era but the beginning of a new one, has some truly global significance. We have become used to seeing large groups of International students with brightly coloured rucksacks wandering though the Old Town, we may even have been stopped by students with clip boards as they interview passers-by to improve their conversation skills. 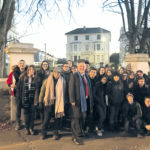 There are many householders whose incomes have found a welcome boost from being ‘host families’ and have enjoyed introducing the students to the mysteries and delights of British taps, breakfasts and holiday celebrations. However, few residents are likely to be aware that Hastings has significance beyond the English language students here. The town has near-legendary status for English Language teachers all over the world and central to this was the much-loved and important International Teacher Training Institute, which was located at White Rock between 1973 and 1999.
International House Hastings opened after an enthusiastic young EFL teacher, Adrian Underhill, was contracted to travel down here daily from London to teach a group of Libyan students. At the time, the Libyan authorities were keen for their young people to study in the UK, and the South Coast was preferable to the temptations of London. After this first course, it was decided to open International House Hastings in the old Palace Hotel, close to the pier and overlooking the sea. The school grew rapidly, attracting students from all over the world, and soon there were five departments, including an Executive Department, a Teacher Training Institute and a Summer School, running in twenty different centres around the UK. Why was it so popular? According to Adrian, who was the director until 2004, the ‘slightly Bohemian’ atmosphere of Hastings was great for students who wanted to experience both the respectable and more seamy sides of English life. Hastings’ ‘divided’ nature meant students could absorb the atmosphere of the down-at-heel pubs in the Old Town, but also experience genteel English tea shops in Battle. Lack of employment here also meant it was easy to find host families who were happy to house the students. The school itself was also a perfect venue for entertainment: students could dance the night away in the old Palace Hotel dance hall, re-designed as a student club room complete with murals and live jazz. The teacher training department was particularly successful. Courses at IH Hastings were cheaper than at its London counterpart, but it also put more emphasis on an experimental ‘person-centred’ approach. In its heyday, IH employed 25–30 permanent teacher trainers who ran 14 four-week (CELTA) teacher training courses every year and the more advanced diploma (DELTA) as well as in-service courses for overseas teachers. Many back-packer graduates did their initial four-week training here and then went on to teach in far-flung corners of the world. It was also a place where some of the most influential movers and shakers in English language teaching developed new skills and ideas. EFL innovations have also made their way into the state-school sector. According to Adrian, the attention given to empathy, authenticity and being non-judgmental created a culture that ‘transformed the mood of the whole school’. Another important link between Hastings and the rest of the language teaching world is the materials developed at International House Hastings and now used by teachers everywhere. To name two: Adrian Underhill developed a phonemic chart to help learners with pronunciation, which can be seen on the walls of classrooms in St Leonards, Caracas, Hanoi and beyond. In addition, Jim Scrivener’s ‘Learning Teaching’ is a core reading text on most English language teacher training courses across the globe. But teacher training is not generally linked to huge profits. International House became ILC Hastings and was later taken over by Study Group before it became part of Embassy CES, whose primary aim was to develop the teaching and summer school sides of the business. The Embassy school was relocated to Gensing Manor, described as ‘…a charming heritage building with plenty of space for BBQs and social activities’. Initially, many of the old IH trainers stayed on, although teacher training courses ceased in 2007. Some of the students and teachers posted a blog at the time: ‘End of a Hastings Era’. They paint a picture of a vibrant, cosmopolitan school with a caring and supportive environment. 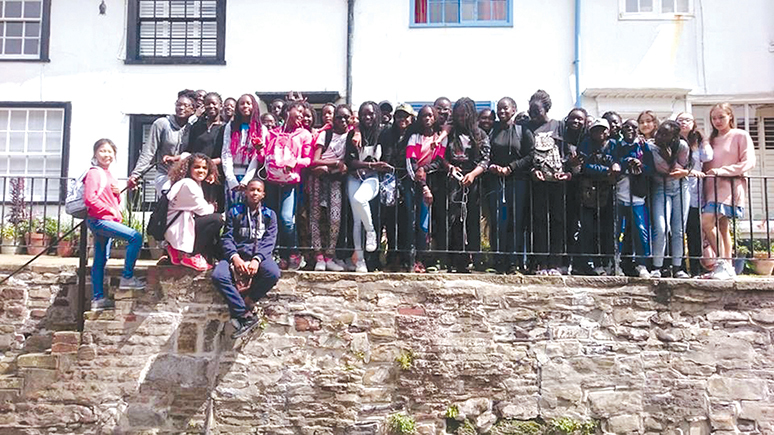 It is striking that many of these Embassy students had never left their home country until they came to Hastings and several had mixed reactions to the town at first. However, they were won over by the character of the place and the warmth of the people, particularly their wonderful host families and teachers. What’s the future for Hastings and the English Language market? However, this growth didn’t last. In fact, there was an 11% drop in students visiting the UK from 2015 to 2016* and quite a few language schools closed. A recent report estimates that the numbers of English students will drop by a further 10% by 2025**. Whatever Brexit may entail, demand for courses has changed. Fewer students go abroad for general English courses that could last several months. Instead, they study at home or online, or visit the UK for more tailored courses, such as university preparation or shorter activity trips.